Gettleman's plan while trying to win in 2019 and rebuild is actually sort of simple. He's acquiring players who have a history of being productive in he NFL while clearing future cap space and acquiring as many draft picks as he can. How you define winning in 2019 is the key. Is he positioning the team to win the SB this year, absolutely not. That said even if he had drafted Darnold last year the team wouldn't be a SB contender in his second year. So winning is defined as putting a few more in the W column. Shurmur talks a about the 12 games they played decided my a TD or less and them only winning 4 of them. So you build a team that can win 6 or 8 of those close games. You change the locker room culture from a me team to a team first culture. Look at the players he's brought in. All have been relatively productive especially under Bettcher. Not that that guarantees success but their is a familiarity with the player and their attitude. I believe these players were also more productive under Bettcher than Mauro and the OLB. Same with Golden Tate who up until last year I believe had 4 consecutive 90 catch seasons for more than 1000 yds. Not as explosive as OBJ but maybe more suited to Eli's game. I believe I've read we have about $90 million in cap space for next year. A nice position to be in. 12 draft picks this year that hopefully are used wisely and some more holes are plugged. Obviously this is all very debatable and they key is still finding Eli's replacement but as one of those Wal-Mart QB shoppers (who again never said you could or should be looking for your next franchise QB outside round 1) Gettleman is being creative and looking for options. Maybe he believes in a Lock or Jones, maybe he thinks the Fins may want a Haskins and trade their 13 and more in 2020 to drop to 6. Maybe that gives us another high 2nd round pick in 2020 that he can use to move up and draft a Hebert. Who knows but he's not sitting around waiting for people to come to him, he's going after it understanding the pre-work that had to be done. I think we're seeing the results of Bettcher not haivng the quality players that fit his system. Some may not have understood the system, others just physically didn't match up with the requirements of their positions, etc. etc. Gettlemen so far has added players who have had success in Bettcher's system, and younger guys like Peppers who should fit. The veterans from AZ are particularly interesting because they can step in and play today, and already know the system. They weren't given particulary big contracts, nor were they long term; but, they should be productive for the next year or two as younger players understudy them. 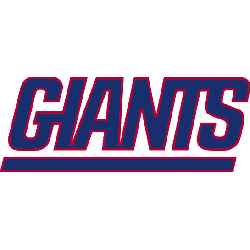 With one more addition at RT, the offense should be very productive, yes, even with Eli. So making moves to solidify the defense now, and in the draft do make sense. If they can find a few more pieces for Bettcher, the defense should be productive as well. The biggest problem the team has had is not being able to put any heat on the QB, and giving up way too many third down conversions. That has to stop, and I think QB is not the pick at #6, it's going to be a beast edge rusher, or super athletic LB who can put heat on the QB. Both types of players will be there for them at #6. QB, maybe at 17, or Rosen via trade.